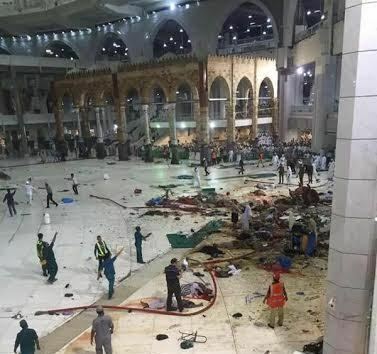 Families of the six Nigerian pilgrims who lost their lives in the Friday September 11th crane accident at the Grand Mosque in the Saudi Arabian city of Mecca are to receive N70m each as compensation from the Saudi Custodian of the two Holy Mosques, King Salman Bin Abdulaziz Al Saud. The king had ordered that families of each of the 111 people who lost their lives in the accident be paid compensation of (SR1,000,000) one million Saudi Riyals which is N70 million in Naira equivalent. Six Nigerian pilgrims including one pilgrim from Kaduna and five others from Gombe state died in the unfortunate incident.